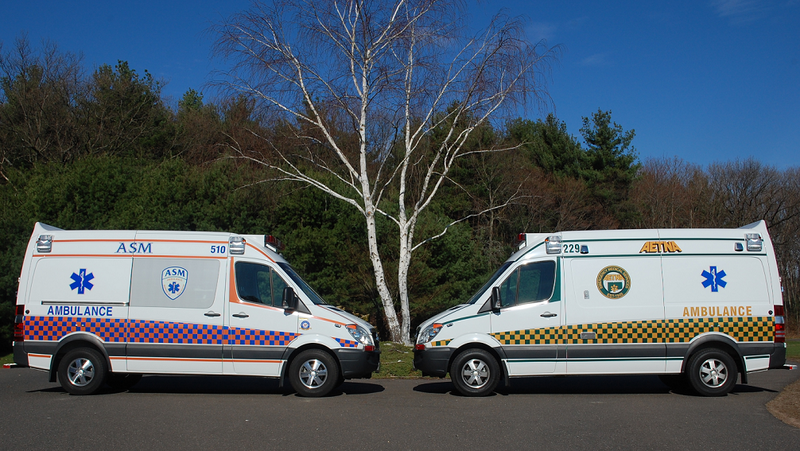 MANCHESTER – As of September 9, 2016, ASM’s Michael Karanda has been cleared by Eastern Connecticut Health Network medical control for independent dispatch as a paramedic to the towns that ASM serves. His preceptors were Paramedic Supervisor Melissa Osborne and Paramedic Joshua Traber. 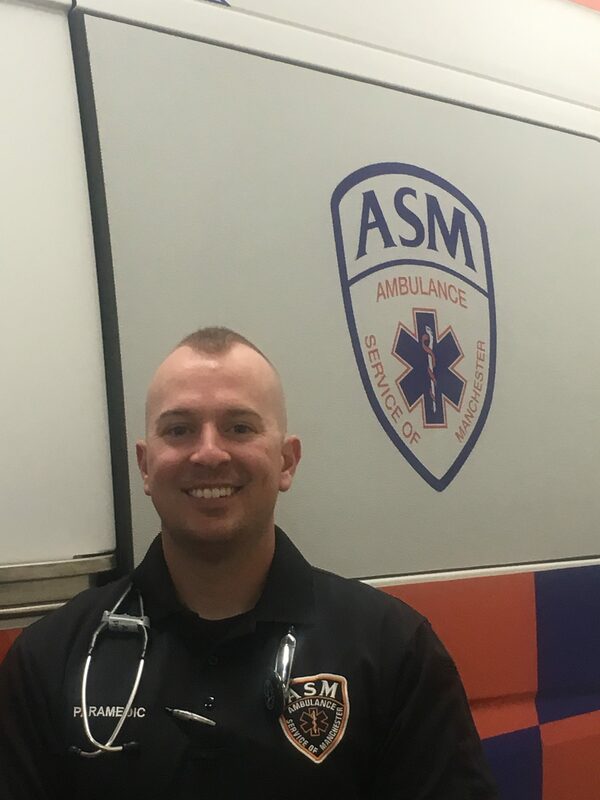 Michael started at ASM in February of 2016 and graduated from the Capital Community College Paramedic program. He started off in the medical field in 2011 after receiving his EMTB Certification. He has been a member of Glastonbury Volunteer Fire Department since 2008. As with all precepting phases at ASM, Michael’s final approval came from Eastern Connecticut Health Network after shadowing him and his preceptors in the field as they responded to emergency calls. On behalf of the ASM Family, we would like to wish Michael the best of luck and say we are very proud to have such skilled professionals on staff. 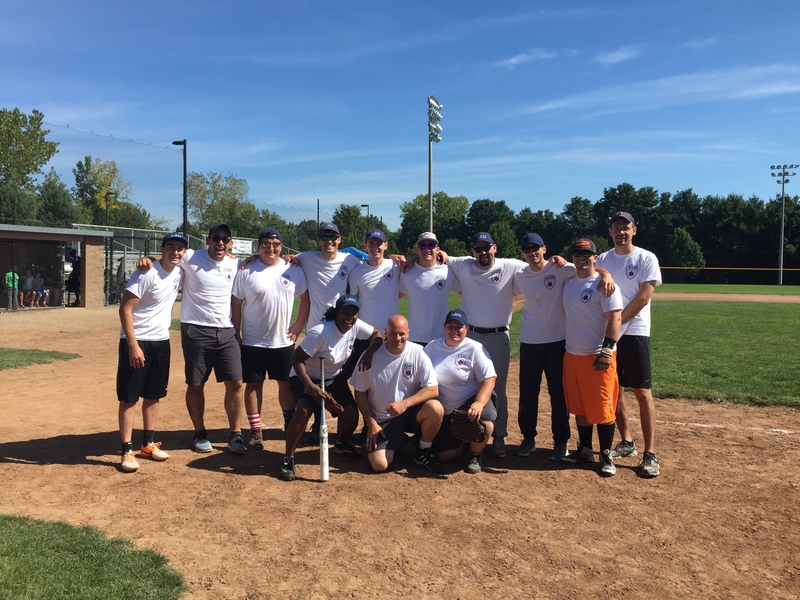 MANCHESTER – In late September Ambulance Service of Manchester received a letter of praise for Paramedic Kenya Russell and her EMT partner Robert Grzywinski from a patient they transported during an inter-facility transfer. 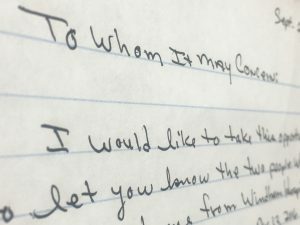 “I would like to take this opportunity to let you know the two people who transported me from Windham Hospital to Hartford Hospital on [Date in August] were wonderful to me. Although I was nervous and upset, they helped to calm me, and put me at ease. If I remember, the lady’s name was Kenya. She asked me what kind of music I wanted to hear. I said off the top of my head Vienna Waltzes and low and behold she played a [song] which made me smile. 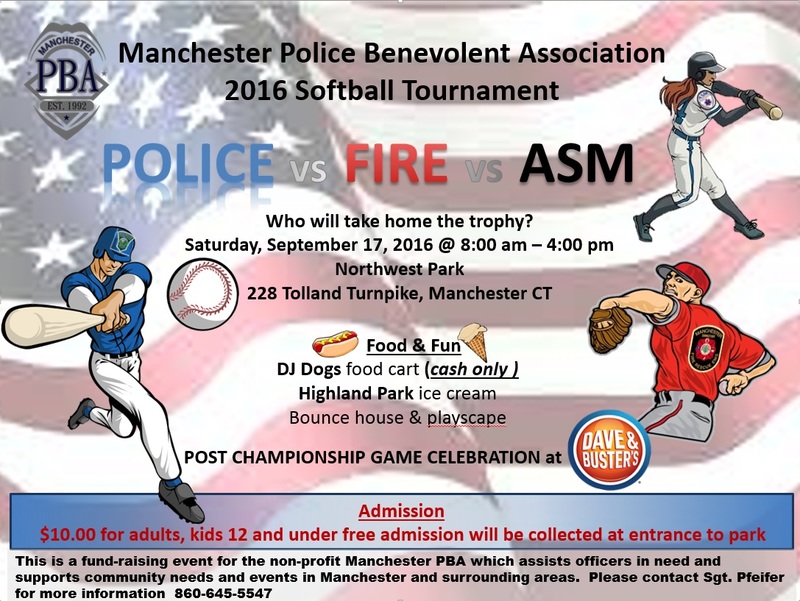 MANCHESTER — On September 17, 2016 a team made up of Ambulance Service of Manchester employees played in a charity softball tournament against teams from Manchester Police Department and Manchester Fire Rescue EMS to benefit the Manchester Police Benevolent Association. 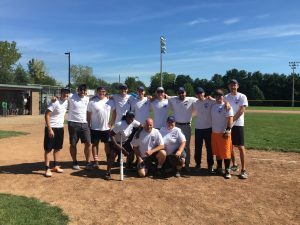 [Crew] were polite and professional. Set me at ease and kept me informed. (16-47073; J. Traber, M. Uddin). Staff was extremely professional, showed empathy and helped calm everyone involved. (16-50087; E. Burgess, K. Twohig with Manchester Fire Rescue EMS). K and her partner were excellent, they were great at taking professional care of me. (16-53556; K. Russell, R. Jones). Excellent – pleasant yet professional. The ambulance crew were very kind and professional. The person who rode with me was great – definitely put me at ease. (16-53409; R. Bilodeau). The ambulance crew were very caring and allayed my mother’s fears about the pain upon moving her. (16-25719; M. Pacheco, K. Durand). Very well trained + friendly – Great Job. M was friendly, concerned and informed. 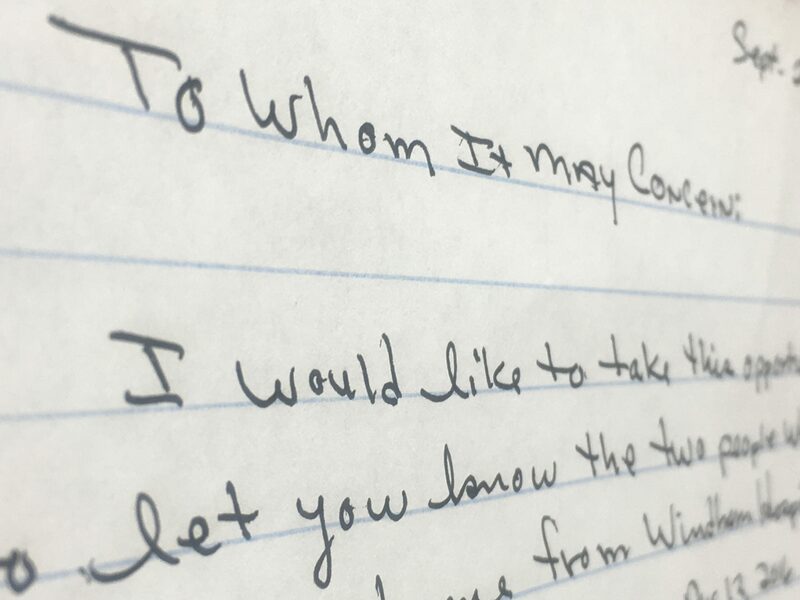 I would like you to acknowledge M. for his good service. I would have never been able to get to hospital. I had blacked out when I hit my head and was in shock. M was excellent. (16-57541; M. Campbell). Courteous, professional, friendly. Your staff helped ease my fears during an incredibly stressful event. I am grateful! (16-59663; J. Craig, A. Hernandez with East Hartford Fire Department).